We often hear the plight of single mothers and children being raised in single family homes by their moms but we rarely get a peek into the other side of the equation. “If there’s one thing you’ll take away from Daddy Don’t Go, Emily Abt’s compassionate but restrained documentary following four struggling single fathers in New York City, it’s that even when you love your kids desperately, and even when you want more than anything to do right by them, your problems might just be too big to outrun. The specifics of that bleak sprint may vary. Maybe if you’re Roy, a 28-year-old from Long Island raising your son alone, it’s trying to outrun the demons of an abusive childhood, selling drugs as a teenager, and the resulting prison sentence and chronic unemployment. I’ve walked by this stand running from errand to errand and meetings and never knew that these guys were hauling their South Carolina blue crabs up for sale in the Melrose neighborhood of The Bronx at The Hub. DNAinfo shares, “Blue crabs from South Carolina have scuttled their way up to the South Bronx. Floyd Gadsden, a 48-year-old who has been in the seafood business since he was 8 years old, recently started manning a tent by The Hub, where he sells live crabs from down south. He said the neighborhood has enthusiastically welcomed him so far, even though many people who stop by have never seen a live crab before. Gadsden typically sells the crustaceans for $12 a dozen and said they are much bigger than what you would find at most stores in the borough. “A lot of their crabs are farm raised crabs: very small, very little meat in them. I like a good meaty crab,” he said. The Bronx is known as the most diverse area as per the 2010 United States Census and things are about to get really diverse—at least with reference to the animal kingdom. The Bronx Zoo is home to many species (endangered as well) and is a recognized world leader in conservation efforts. Now he Daily News reports that we’re one step closer to becoming the home for a pair of pandas after many hurdles to get us this close. If this happens, we’ll have the bragging rights to say that we’re one of only 5 places in America that are home to these endangered and wonderful animals. 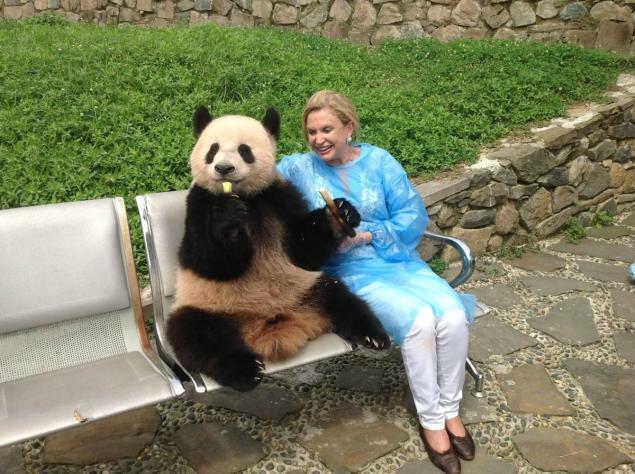 “I’m thrilled that the mayor is supportive,” said Rep. Carolyn Maloney, who has been in negotiations with the Chinese for years to bring pandas to the Big Apple.